St. Michael’s school recognises that working in partnership with parents is of major value and importance to the provision in enabling it to provide a happy, caring and stable environment for children and their parents. We will aim to form a good relationship with parents so that information regarding their children (be it developmental, social or health related) can be exchanged easily and comfortably. 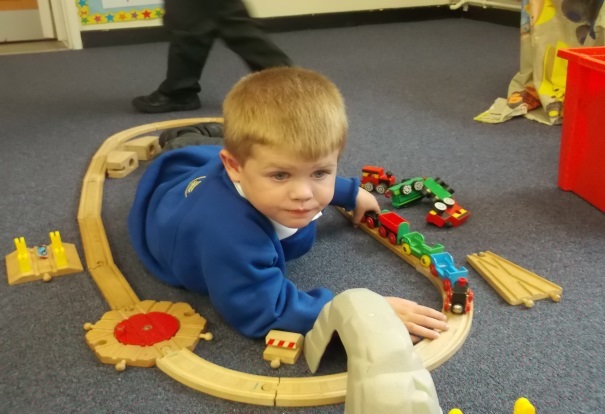 Information regarding the children’s activities throughout the day is always available to parents on a daily basis either by verbal communication or in the child’s own record book. Parents are requested to keep us informed of any changes to personal circumstances, which may have an effect upon a child, e.g. change of address, telephone number, doctor, emergency contact. Parents are also requested to keep us informed of any circumstances which could have an effect on a child’s emotional wellbeing, e.g. bereavement, separation or illness in family.